This level has medium difficulty. 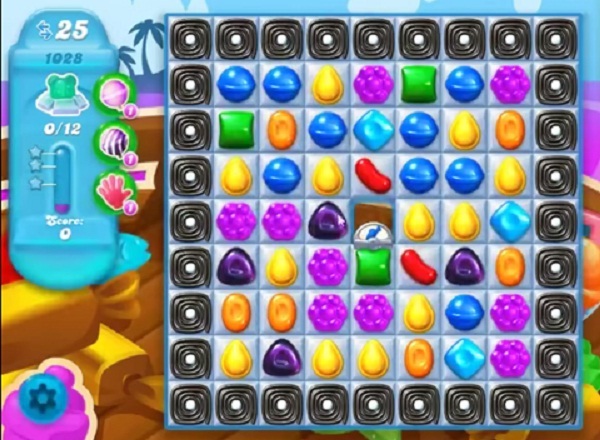 For this level try to play near to blockers or make special candy. Combine special candies with each other to break more blockers or play near to snow blockers to break them to find the pufflers. Just wondering why this round even has the dark purple candies?? You get one here and there, but not enough to make any combo for help. Playing near blockers is easier than it sounds. Could be a worse board, just have to wait for a lucky one! !